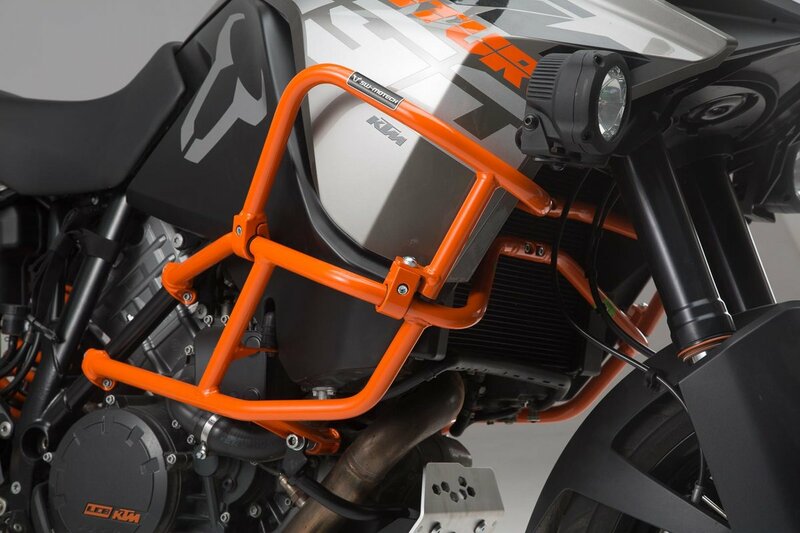 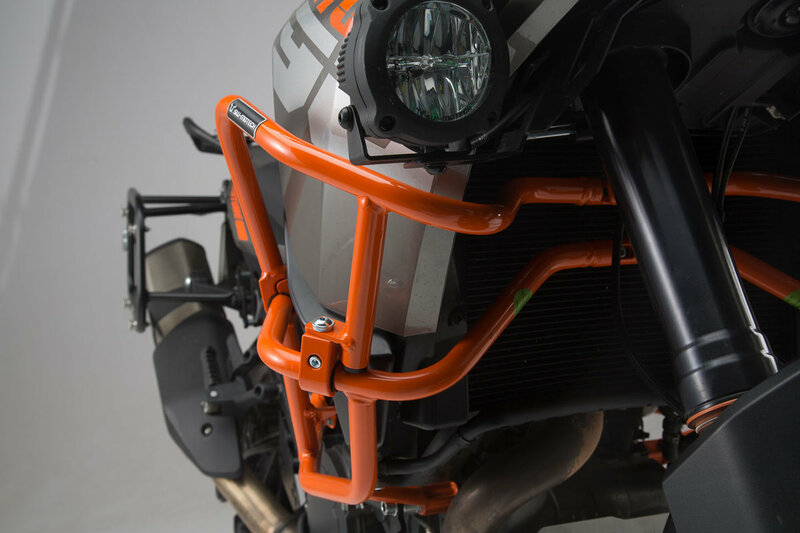 This rugged upper crash bar protects tank and fairing of the KTM 1290 Super Adventure R as well for 1290 Super Adventure S and 1090 Adventure (16-) from scratches and damage in case of an accident, helping to avoid costly repairs. 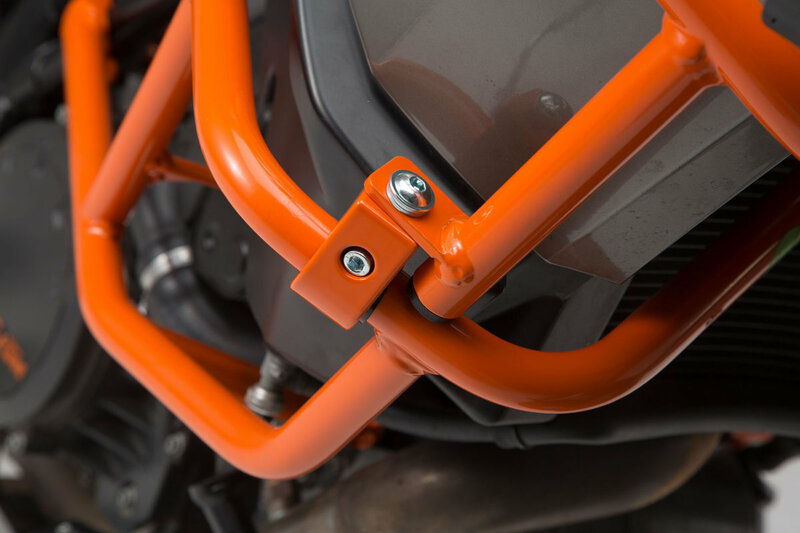 The tough steel construction can easily be mounted to the motorcycles original crash bar. 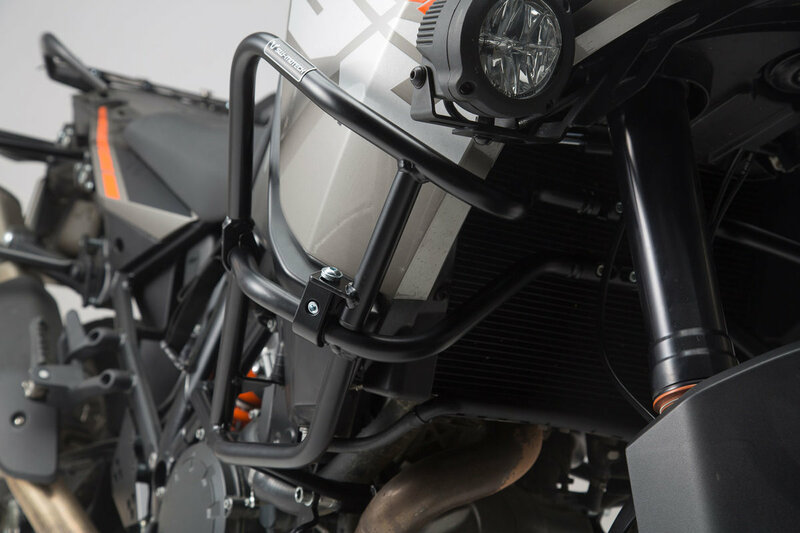 Impact resilient CNC machine milled fastenings, integrated into the steel tubing geometry, provide a safe fit. 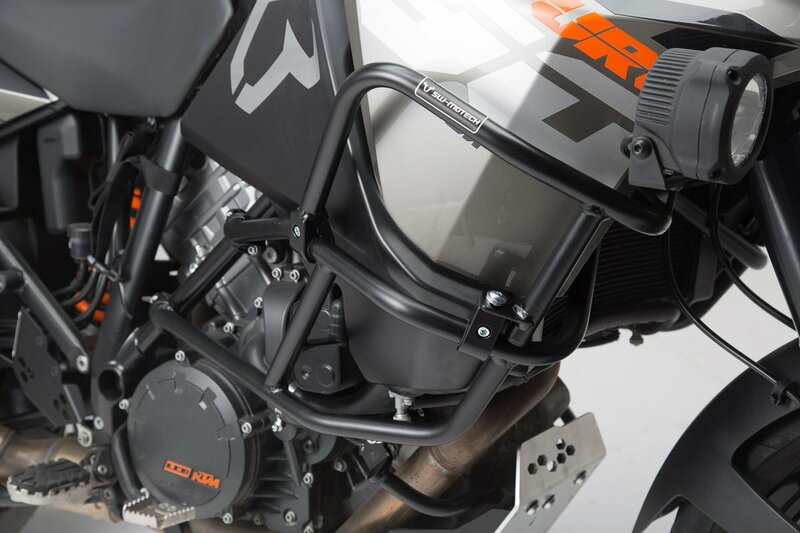 This rugged upper crash bar protects tank and fairing of the KTM 1290 Super Adventure R as well for 1290 Super Adventure S and 1090 Adventure (16-) from scratches and damage in case of an accident, helping to avoid costly repairs. 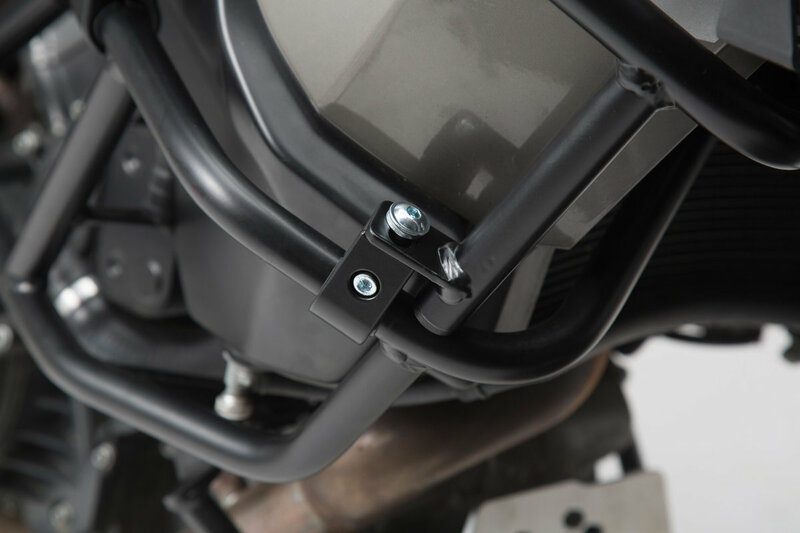 The tough steel construction can easily be mounted to the motorcycles original crash bar. 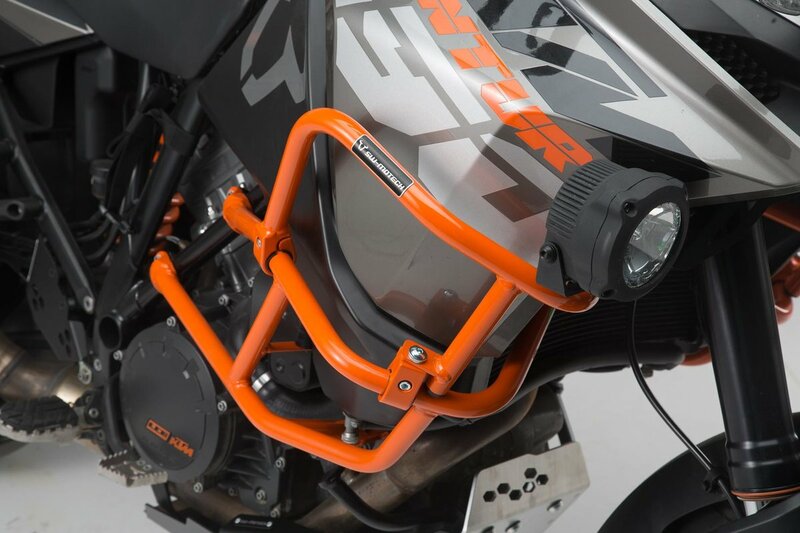 Impact resilient CNC machine milled fastenings, integrated into the steel tubing geometry, provide a safe fit. 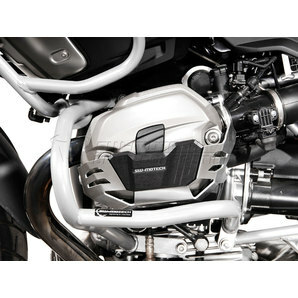 Rubber inserts reduce vehicle vibrations. 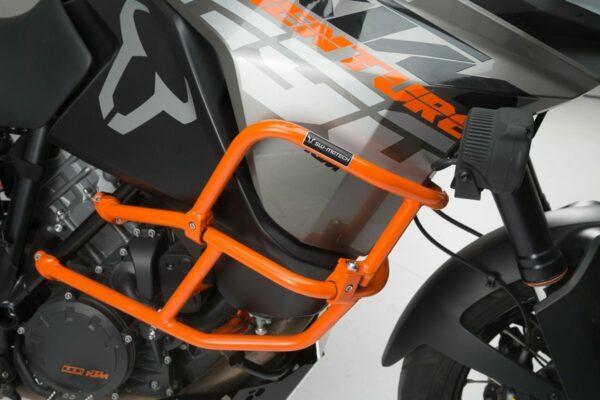 The upper crash bar is available in black or orange color, matching the tone of the original crash bar. 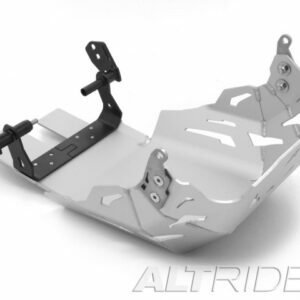 High grade powder coating provides protection against corrosion. 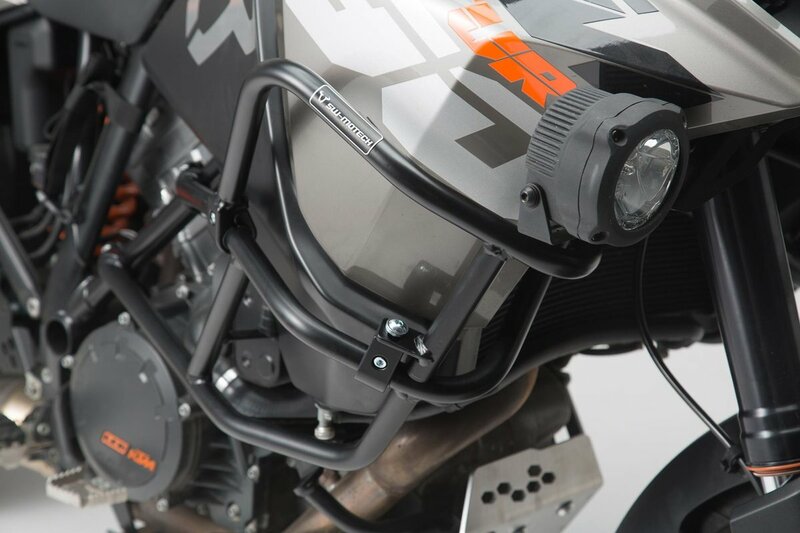 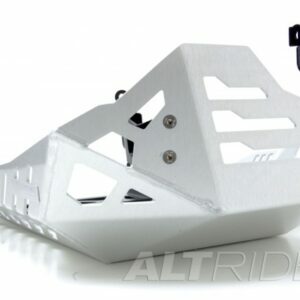 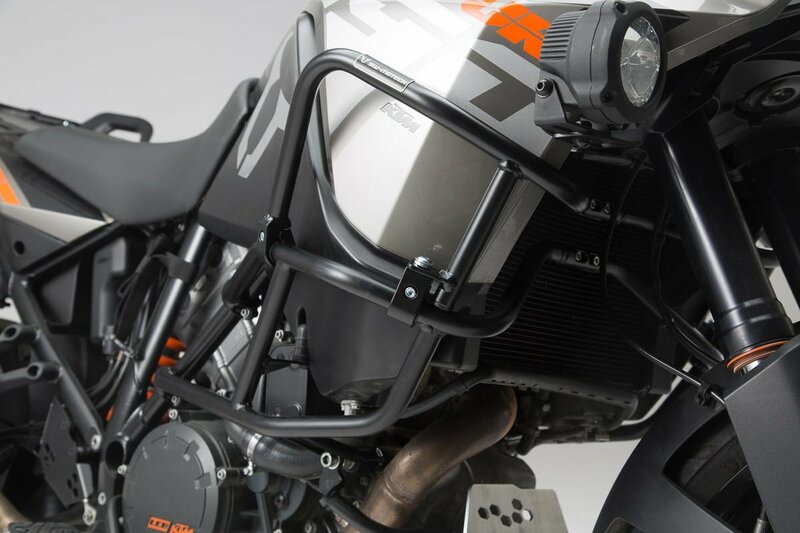 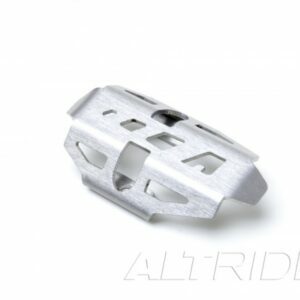 For exclusive use together with original KTM engine guards.